Condos have been hit especially hard by the economic downturn for a variety of reasons. In Capitol Hill we are starting to see prices climb up but we are still seeing 25% less value than at the height of the market and we have close to 7 months of inventory for 1 bedroom condos and co-ops. Looking at the entire city of Seattle we are seeing closer to a 30% drop in value. Of course this varies from neighborhood to neighborhood. The reason for the drop in value, one could say, is that we are victim to the universal downturn in the market. But looking closely one sees a lot of conversions of old apartment buildings, shaky zero down financing, first time “investors” buying units in older buildings and a huge surge of brand new condo projects. The result is that we have an existing building with its residents left to pick up the pieces. Where should they go from here? Closer to home our Diva Pal Tracy has been in her condo community for ten years. Everything was going along fine until about six months ago she discovered that a few owners were behind in their dues, one unit was pending foreclosure and a squatter/hoarder had taken over one of the units – which eventually was foreclosed. Yikes! Tracy quickly joined the board and together we have learned how to get your condo community into shape! Step 1 – Get the Finances in Order: Every condo/co-op community should do a reserve study. A reserve study checks out what is in your financial reserves and reviews the proposed work that may need funding. An effective and well established reserve insures a healthy building. Plus, many buyers and lenders expect building to have a reserve study completed. Step 2 – Adjust Your Home Owners Dues: Just like the national conversation about raising taxes versus investing in your infrastructure we all need to look closer to home to see what is going on with our most important asset- our home. Historically everyone wants to keep one’s dues as low as possible. The problem is that the community suddenly does not have finances to deal with pending or emerging issues in the building. Or even worse – your reserves are so low it makes the building hard to lend on. Find the right balance between maintaining and adding to your reserves without financially strapping the home owners. Step 3 – Fix Whats Wrong: Many buyers will walk away from a building if there is any hint of an assessment or work piled up with no plan on dealing with it in the near future. Everyone wants the sense of security. Make sure you are working closely with your management company and dealing with any major issues. Do not sweat the small stuff but the big things like roofs, window, etc. should have a plan and schedule for the work. Step 4 – Make Your Condo Lendable: Condo financing is one of the hardest things to come by. The high number of foreclosures in condos in California and Florida has scared away many financial institutions from lending on a condos. The result is that the majority of lenders require a minimum of 5% down, acceptable home owner dues and proof of a healthy financial community. 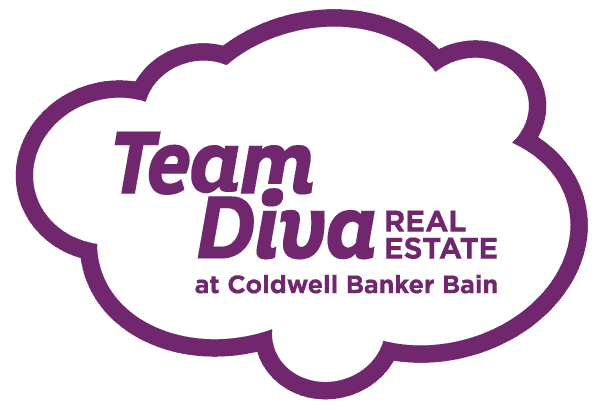 Team Diva encourages everyone to get their community FHA approved. This opens your buildings to additional buyers. Check here to see if your building is <<FHA Approved>>. If not – Contact TEAM DIVA NOW by emailing TheDiva@TeamDivaRealEstate.com or calling us at 206-250-6540 and we will point you toward someone who can help. Step 5 – Deal with Delinquent Home Owner Dues: Some home owners are in a tough financial situation. Others are just lazy and do not take Home Owner Dues seriously. There are a couple of things you can do. Work with those who are delinquent to set them up on a payment plan. For everyone else set them up an auto withdrawal plan with the bank or management company. Folks still behind and do not want to deal with the HOAs? As soon as possible put them into collections. Its tough but you have to protect the entire community. Step 6 – Get a Flexible Pet Policy: Studies show that people are happier when they own pets. There are lots of buildings out there with ridiculous pet policies. For instance: no birds, no cats, 15 pound dogs only, no dogs and no cats. Yikes! Go with the standard: Two pets who are less than 50 pounds and exceptions with “Board Approval”. It opens your community up to more buyers. And as we know buyers are gold right now! Step 7 – Help Your Neighbors – Sell at a Loss (Short Sale) vs. Foreclosure: We only have each other in this universe and we are all sharing in the investment of a building. Work with your co-owners to help them avoid having a unit go into foreclosure. Maybe being more flexible on the rental policy on a case by case basis or suggesting they talk to a lawyer about a short sale would be better options. It is much better for the community to take the hit from a value standpoint than have to deal with a bank taking over a unit. Our pal Tracy recently discovered that once the bank forecloses on a unit in a building – they are only required to pay up to 6 months back HOA dues. If the owner owes more than 6 months – the HOA my be forced to take that loss. If one sells their home in a Short Sale one can better retain value on the unit and the HOA may have a better chance of getting most of the back dues paid. Step 8 – Know what is in your Home Owners Association Bylaws: Many new buildings received complete control of their home owners associations only after the builder has sold all of the units. What many buildings are finding is that their bylaws are completely written in favor of the developer in detriment to the home owners. Get to know the bylaws and organize your building to make sure you are in the know on how to make changes that positively impacts the well being of your community. Step 9 – Condos & Litigation: Many building have legitimate reasons to go after a developer; poor work, unfinished work, unpaid bills and possible other serious issues. If your HOA would like to talk to a lawyer for a potential issue – let us know. We have numerous resources we can refer to you. This is a tough issue since litigation can be a death sentence for a building. Most lenders will not touch a building that has a lawsuit in process. This could decreases home values and further creates a negative situation for home owners. Lots of HOAs are being solicited by lawyers to take their developers to task over potential issues before the clock runs out on their ability to sue. Make sure to get a second opinion and that the issues are worth it. In many cases a suit may be the best and only option but not always. Final Step: Get to know your neighbors. These are tough times and we are all in this together. Create opportunities to hold community picnics and other soirees to meet and mingle with your neighbors. Condo communities that work together have a stronger association and a healthier building. This will improve the value of the entire building and the ability to sell your home down the road.